Last Tuesday, I was looking at all the lovely images that were linked up to Kim Klassen’s Texture Tuesday. I always find some very outstanding photos and occasionally some that leave me speechless – this was the case last Tuesday. The photo is called Take a Swing by Mona at Mona’s Picturesque. I hope you’ll check it out. She did awesome didnt she? I think you did great as well but I do like your original too. Thank you so much dear ♥ I find your pic fantastic! Would like to tell you how I did mine, but I have no idea *lol* I spent hours editing that pic and most of it happened by accident :) Have a lovely weekend!!! Thank you, Mona. Coming from you that means a lot. You have a great weekend too. Hello Carol. Thanks for visiting my blog and commenting. Appreciate it! I'll keep you informed about the evolution of my August project. 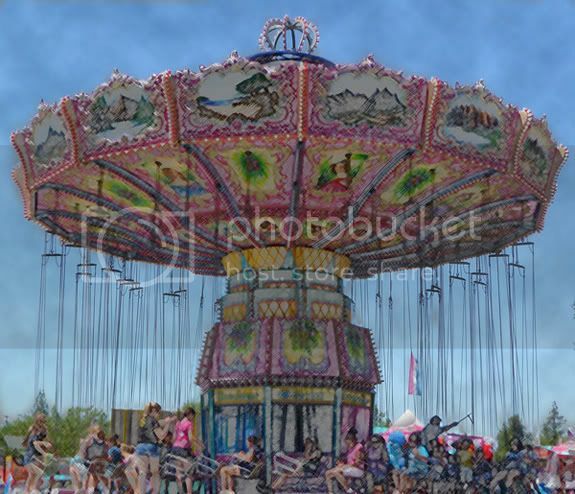 Your carousel image is splendid! And what a beautiful specimen! Thank you - Not as good as the Inspiration Image, but what fun it was to create.